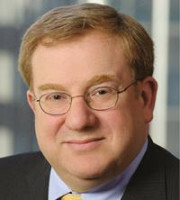 Alan S Kellman is one of the original partners of Desmarais LLP, where his practice focuses on the trial and litigation of complex, technology-driven disputes. Mr Kellman has tried cases in the federal district courts, before the International Trade Commission and in arbitration, and has argued before the US Court of Appeals for the Federal Circuit. In addition, he has represented clients in trade secret, antitrust and unfair competition matters in federal and state courts. Mr Kellman has represented and counselled clients in disputes relating to a wide range of technical subject matters, including pharmaceutical and surgical products, network switching equipment, telecommunications equipment, local and wide area networks, digital signal processing systems, digital audio and video coding systems, cellular telephony, personal computers, digital watermarking, semiconductor processing technology, microprocessor design and development, electro-chemical lighting systems, lottery networking systems and remote surgical robotics. After graduating from Harvard Law School, Mr Kellman began his career at Kirkland & Ellis, where he was named partner in 2005. After litigating numerous high-profile cases at Kirkland, Mr Kellman left the firm in 2010 along with John Desmarais and Michael Stadnick to open Desmarais LLP. Mr Kellman is admitted to the Bar of New York, as well as the US Court of Appeals for the Federal Circuit and various federal district courts. He is also registered to practise before the US Patent and Trademark Office.